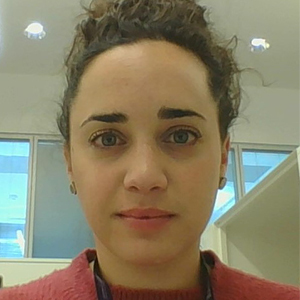 Dr Sara Abalde-Cela is a Research Fellow at INL funded by a Marie-Curie COFUND. She works at the Department of Life Science, within the Medical Devices research group. The research project she is involved in is focused on the development of microfluidic platforms for the detection of cancer cells. The goal of her project is the real-time and on-chip method for cells detection based on Surface enhanced-Raman scattering (SERS) spectroscopy. Sara has a PhD in nanotechnology by the Universidade de Vigo (Spain) and postdoctoral experience at the University of Cambridge (UK). Her experience in research gathers expertise from nanotechnology and spectroscopy to microfluidics for biotechnology applications. Sara won several funding, research awards and recognitions along her career, she has around 25 contributions to conferences and 11 peer-reviewed publications. She has also been involved in lecturing, science dissemination at schools and startup programmes in Cambridge, London, Vigo and Braga. S. Abalde-Cela, A. Gold, X. Liu, E. Kazamia, A.G. Smith, C. Abell. Rafael Contreras-Cáceres≠, Sara Abalde-Cela≠, Pablo Guardia-Girós, Antonio Fernández-Barbero, Jorge Pérez-Juste, Ramón A. Álvarez-Puebla, Luis M. Liz- Marzán. Multifunctional microgel magnetic/optical traps for SERS ultradetection. S. Abalde-Cela, B. Auguié, M. Fischlechner, W.T.S. Huck, R.A. Álvarez-Puebla, L.M. Liz-Marzán, C. Abell. Microdroplet fabrication of silver-agarose nanocomposite beads for SERS optical accumulation. Loading of exponentially grown LBL films with Ag nanoparticles and their application for generalized SERS detection. Angew. Chem. Int. Ed., (2009) 48, 5326 –5329.